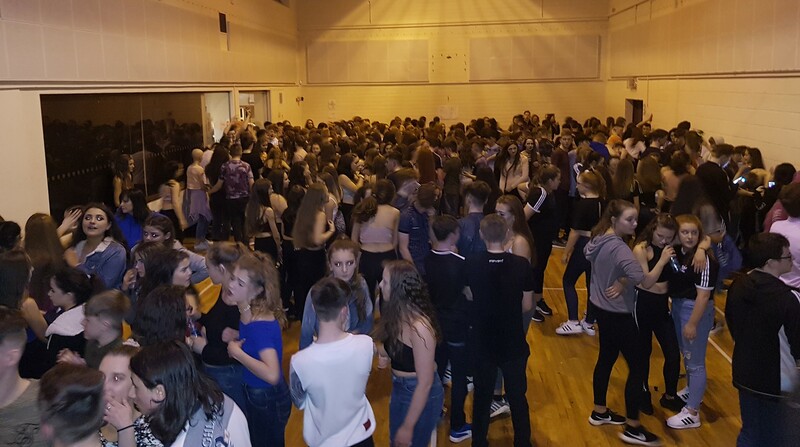 Friday the 23rd March Explosive Entertainment had the pleasure of supplying Sound, Light & DJ Services for the Turlough Foroige Teen Disco at the Parke Community centre just outside Castlebar Co.Mayo. On the night there were 500 Teenagers consisting of many of the Mayo Foroige groups based in the county. The Disco started at 8pm with last dance taking place at 11:30pm. The teenagers were a pleasure to work with and created a fantastic atmosphere on the night. Thank you to all the supervisors on the night who ensured the smooth running and success of the event. We look forward to working with the Mayo Foroige groups in the future.